Trent University students back down and bow to Israel and its Zionist tentacle arms in Canada by changing their colours pressured and strong-armed in a supposed vote to having no stance on Apartheid in Israel. "The Association shall refrain from co-operation, collaboration, or joint projects with Israeli academic and cultural institutions in any form including sharing intellectual resources or property with Israeli universities, offering Study Abroad opportunities for students of Trent University, or hosting Israeli Academics, unless these institutions acknowledge Israel as an apa rtheid state. Additionally, the Association will support Palestinian academic and cultural institutions directly without requiring them to partner with Israeli counterparts as an explicit or implicit condition for such support." 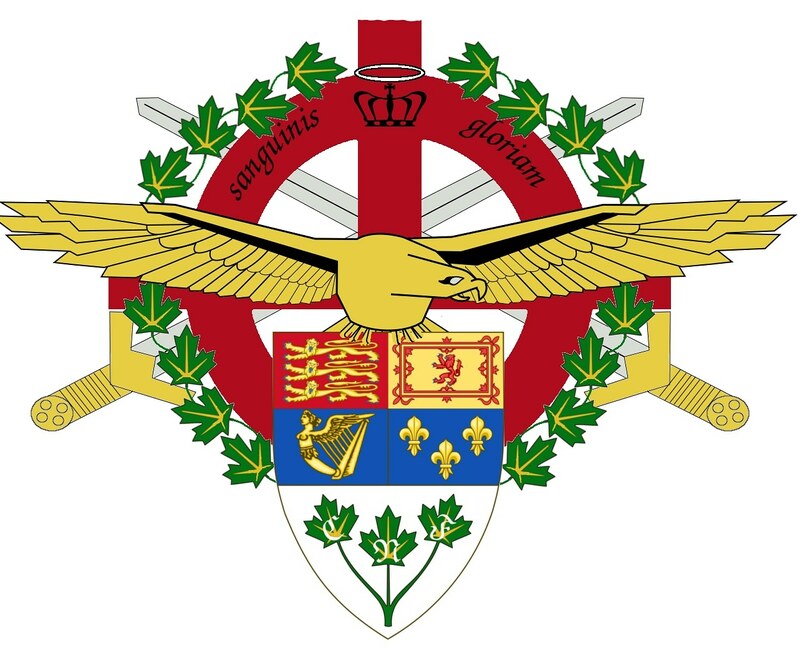 PETERBOROUGH -- On the heels of anti-Semitic controversy at Trent University, the Trent Central Student Association (TCSA) has decided to remove its boycott of Israel. At a meeting last week, the students voted 47-28 to rescind a policy it passed in 2013. That policy outlined the stance the TCSA would take when dealing with items and issues related to Israel. The TCSA sought to acknowledge Israel as an apartheid state and encourage others to reject investments, purchases and cultural exchanges with Israeli companies and groups. These included Israeli academic or cultural institutions. Braden Freer, president of the TCSA, says the motion that was passed last week removes the boycott. "We have no official stance on (Israel). Students are free to do (what they choose) without us having an opinion," says Mr. Freer. 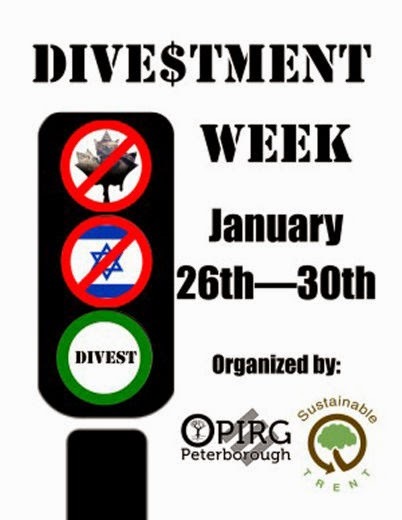 Some of the issues surrounding the boycott of Israel were discussed during last week's Divestment Week events at Trent. Controversy swelled when the logo organizers used to promote the event was hit with harsh criticism. Part of the logo showed the Israeli flag, with the Star of David, crossed out. 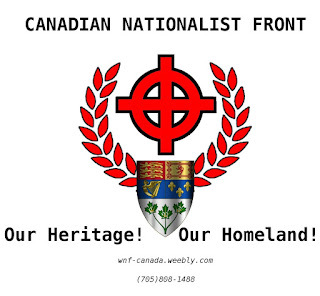 The Friends of Simon Wiesenthal Centre for Holocaust Studies, a human rights group based in Toronto, called the logo anti-Semitic. 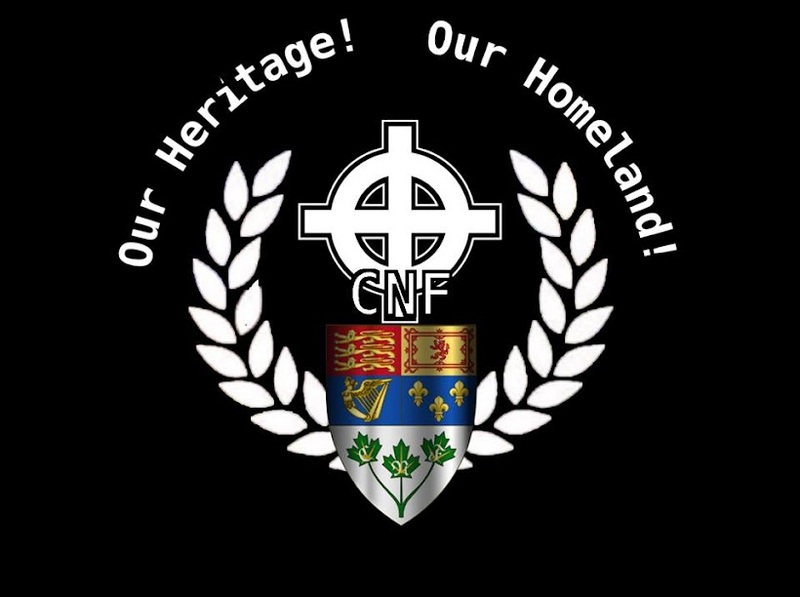 That sparked organizers -- the Ontario Public Interest Research Group (OPIRG) and Sustainable Trent -- to pull the logo from its advertising and social media campaigns and make a public apology. Mr. Freer says the controversy didn't have a direct influence on the motion that was passed last Thursday (Jan. 29). "It's not directly linked," says Mr. Freer. "The two groups (that organized Divestment Week) are separate from the TCSA." He adds the latest motion to rescind the original motion was discussed by a member of the TCSA last September and was just brought to last week's meeting for a vote. Avi Benlolo, president and CEO of the Friends of Simon Wiesenthal Centre for Holocaust Studies, says it was a welcome surprise to see students at Trent vote down the boycott, divestment and sanction motion. However, he still takes issue with the Divestment Week events and movement to boycott Israel. "What makes this outcome particularly amazing is the fact that it was non-Jewish students leading the charge," writes Mr. Benlolo, in a letter to This Week. "Clear thinking, and the recognition that boycotts serve only to shut down free speech and create an atmosphere of tension and division, has prevailed." Trent president Dr. Leo Groarke also weighed in on the issue. In a letter, he outlined his views with regards to the controversy and issues surrounding divestment. He says the divestment movement "is an attempt to have universities and other institutions withdraw their investments (typically endowment and pension funds) from Israeli companies, and from companies heavily involved in the production and/or use of fossil fuels." Dr. Groarke says divestment from fossil fuel companies is currently before the Trent board of governors. Despite the controversy, and at times heated debate during Divestment Week events, Dr. Groarke says most students took a respectful approach to the issue. "As a university, we are committed to the free expression of different points of view and the debate that this produces. That debate is an essential element of the education we provide," writes Dr. Groarke in his letter. "We are at the same time committed to respectful debate which builds a community free of discrimination which is safe and secure for all."